Quirky NY Chick: ResidentBand Features Forty Feet Tall - "I Won't Run"
ResidentBand Features Forty Feet Tall - "I Won't Run"
Our friends over at ResidentBand have released a new video. 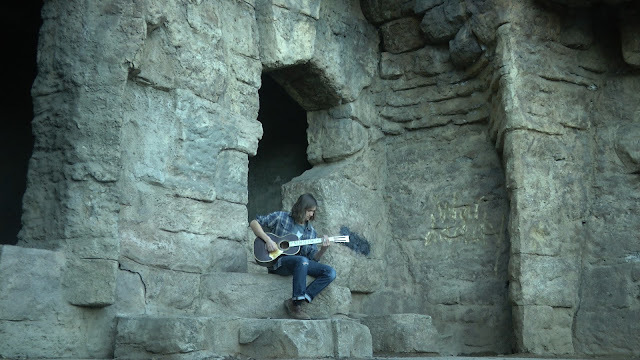 The clip, filmed by the ResidentBand crew, is an acoustic performance from Forty Feet Tall lead singer Cole Gann. The video was shot in the old zoo in Griffith Park in Los Angeles. Check out "I Won't Run" below. If you like your rock blues tinged, then chances are you'll enjoy Forty Feet Tall and this performance. Forty Feet Tall released Red Dressed in January 2016. You can pick it up HERE.